The Sports Authority of India (SAI) is mulling to take action against archery coach Jiwanjot Singh who is facing disciplinary action after speaking against the Sports Ministry over Dronacharya Award selection. Jiwanjot had resigned from the position of the national coach in September. According to a report published in TOI, SAI has recommended SY Qureshi, who is Archery Association of India's (AAI) court-appointed administrator, to take strong action against Jiwanjot for publicly speaking out against the sports ministry after his name was removed from the Dronacharya awardees' list over a case of indiscipline that took place in the year 2015. The archery coach’s name was recommended for the prestigious Dronacharya Award which is presented to coaches for their contribution towards sports in the country. According to sources, the AAI has asked for a show-cause notice to Jiwanjot on disciplinary grounds. He is currently working as the chief coach of the Punjabi University, Patiala, as per developments; he will not be able to coach the Indian compound archery team in future. 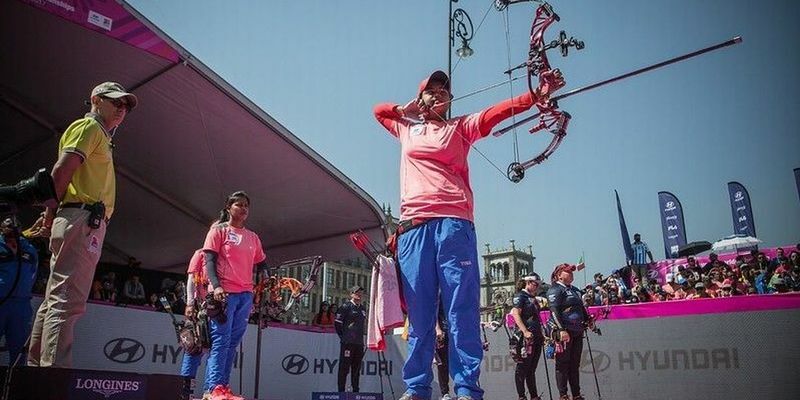 Jiwanjot had decided to resign from the position of the coach a few days before the Indian archery teams’ departure for the World Cup which was held on September 29 and 30 in Turkey. His resignation on September 22 left the ministry and SAI annoyed. The compound archers went into the prestigious tournament without a coach and managed to win one silver and one bronze medal. SAI arranged the travel and accommodation facilities for the coach and now might ask him to pay for the loss incurred by the sports body. In another unfortunate incident, Jiwanjot came out in public with his grievance of not being presented Dronacharya Award and also tried threatening the ministry and said that he would knock the doors of the Delhi High Court. A few archers even went to protest against the Sports Minister Rajyavardhan Singh Rathore in support of the archery coach outside the minister’s Delhi residence.